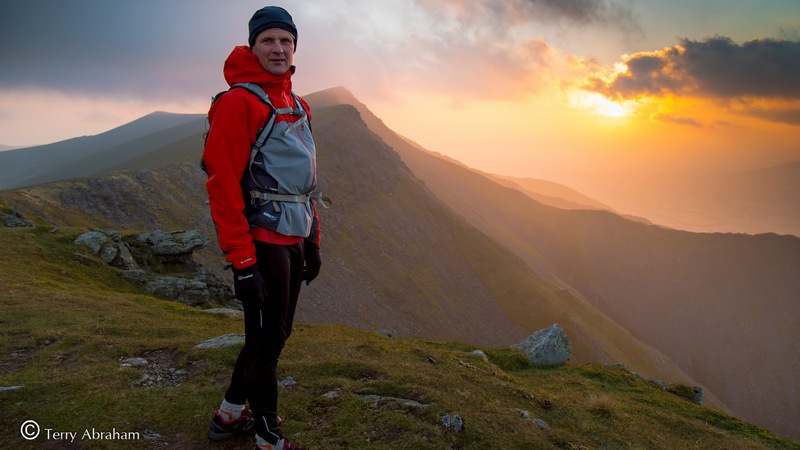 Legendary fellrunner Steve Birkinshaw at dawn on Blencathra last Friday morning. 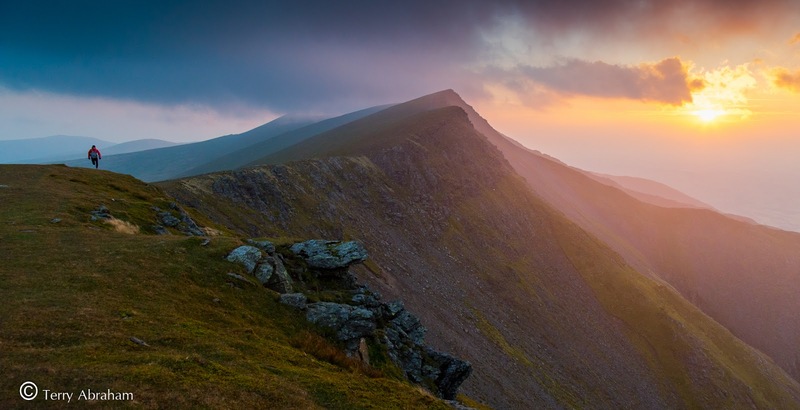 I’m now over halfway through completing my next Lakeland documentary featuring a year in the life of Blencathra. Despite the hard graft, early starts and long days, I’m pleased to say it’s all paying off. 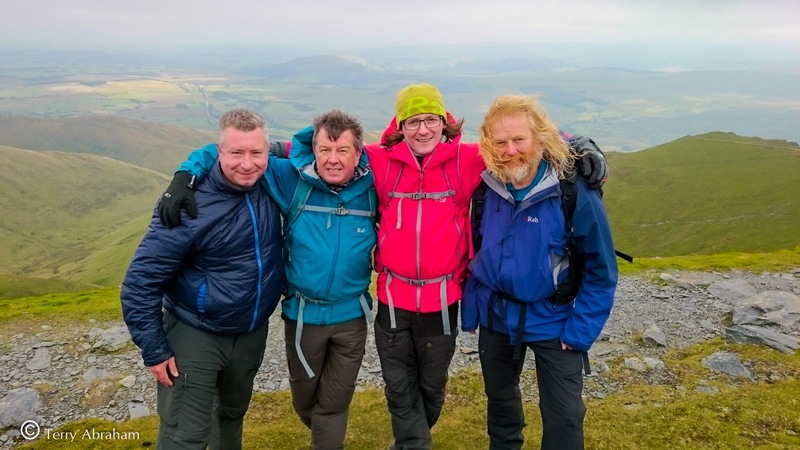 Last week involved me setting off at 3 or 4am in the morning up and down the flanks of Blencathra along with a big planned shoot on Sharp Edge in the company of comedian Ed Byrne, BBC presenter and author Stuart Maconie and mountain guide and TV researcher David Powell-Thompson. 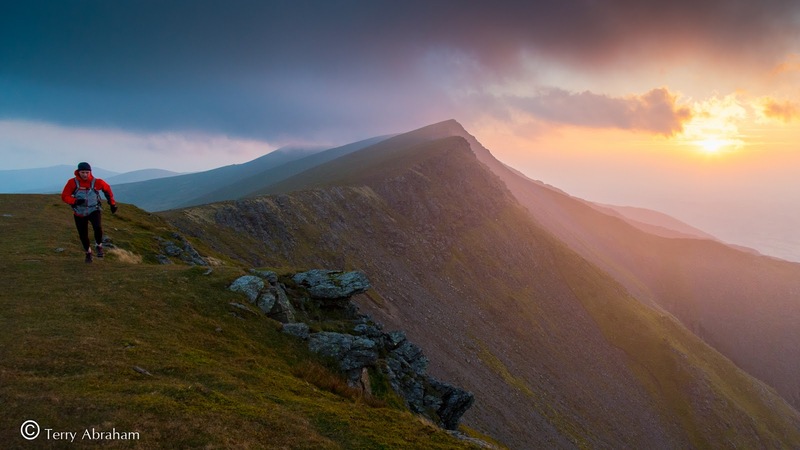 Something I’m acutely aware of is the reputation of the aforementioned infamous arete, not only as a hillwalker myself but ensuring that to those new to the fells who may watch the film need to appreciate the seriousness of undertaking the walk. 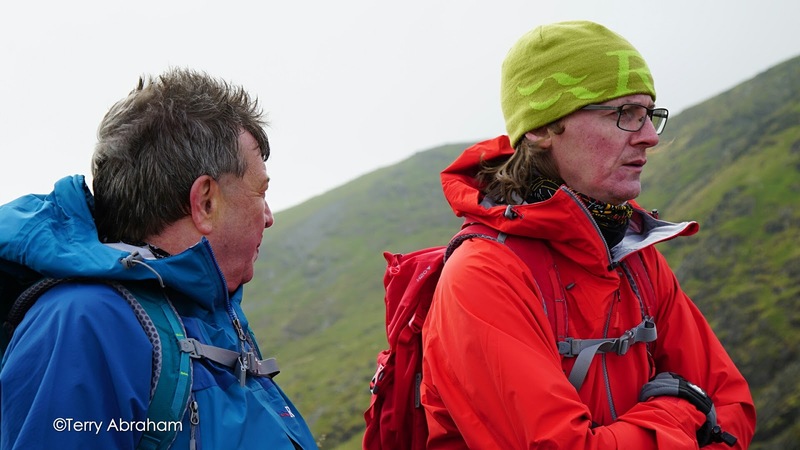 One lingering memory is seeing Julia Bradbury with David on the ridge in an episode of the popular TV series ‘Wainwright Walks’. It’s something I hoped to replicate or improve upon and I have to confess give a wink and a nod to in acknowledgement. Needless to say I’ve been keen to give Sharp Edge the grand entrance it deserves. Consequently I decided that filming three folks with varying degrees of outdoors experience would add some entertainment value. 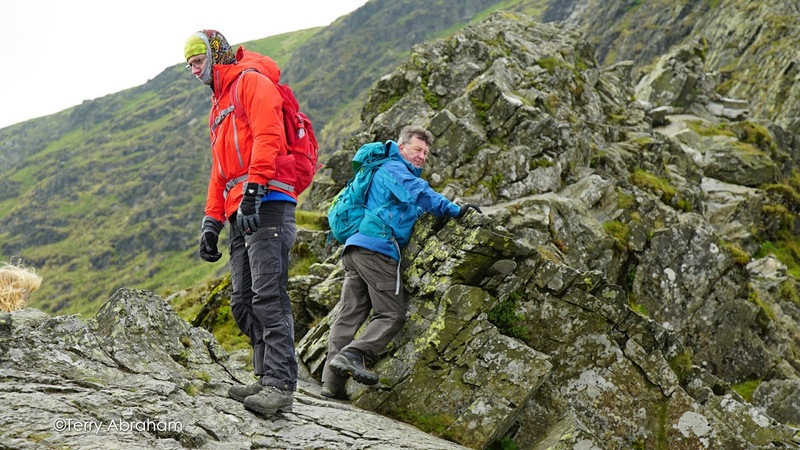 Stuart isn’t a fan of such walks in the fells, Ed hasn’t ascended Blencathra via Sharp Edge before and David knows the place very well as a mountain guide. I figured the three points of view would not only address my above points with regards to viewers but also add an extra level of engagement. It proved to be a difficult shoot film-wise which goes without saying I guess given the terrain, but thankfully all came good in the end. Below you’ll find some pics and videos that give a glimpse of what I got up to last week. I hope it whets the appetite with regards to watching the completed film next May. Other than that, I must sign off now. There’s no rest for the wicked! I have much more editing to do and plans to make before returning to the Lake District this Friday much of which includes filming the local community. 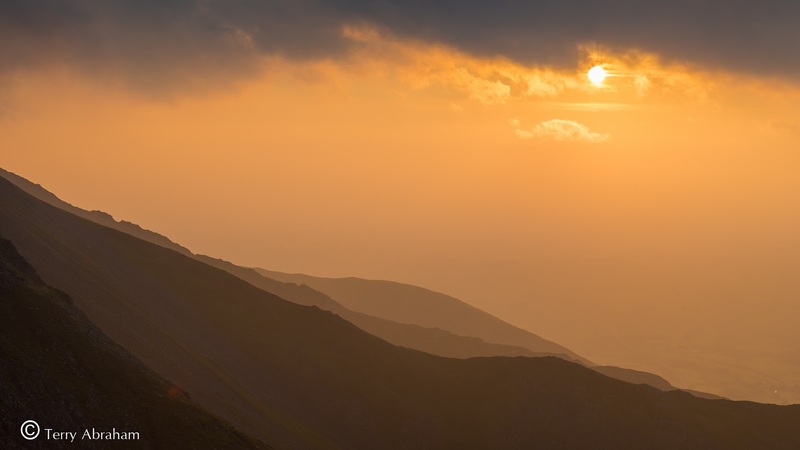 Sunrise from the flanks of Blease Fell, Blencathra. 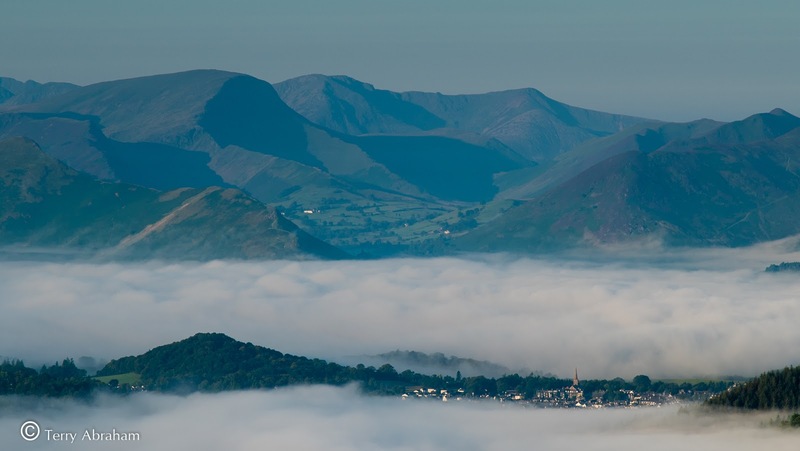 The town of Keswick just peeping out the inversion from Blease Fell. 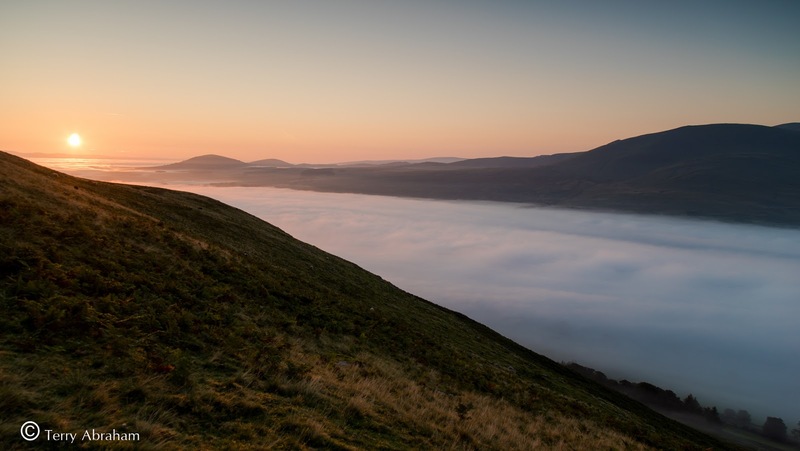 Great Mell Fell and Clough Head above the cloud at dawn. 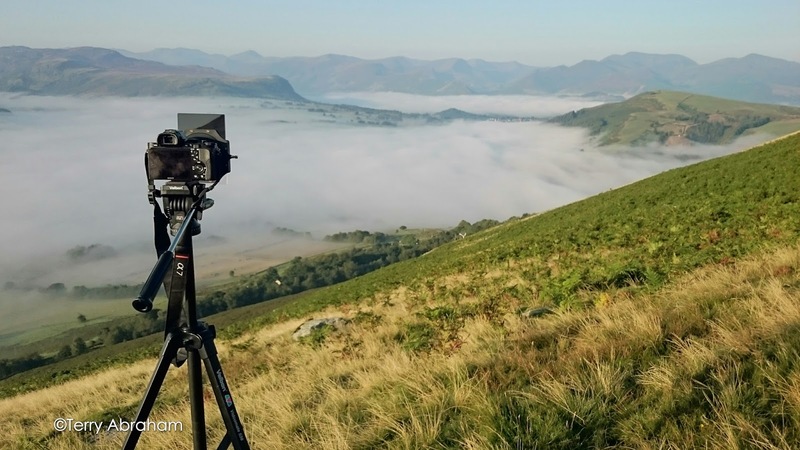 One of my cameras capturing timelapse scenes of the inversion in the valleys below from Blease Fell. Almost there! 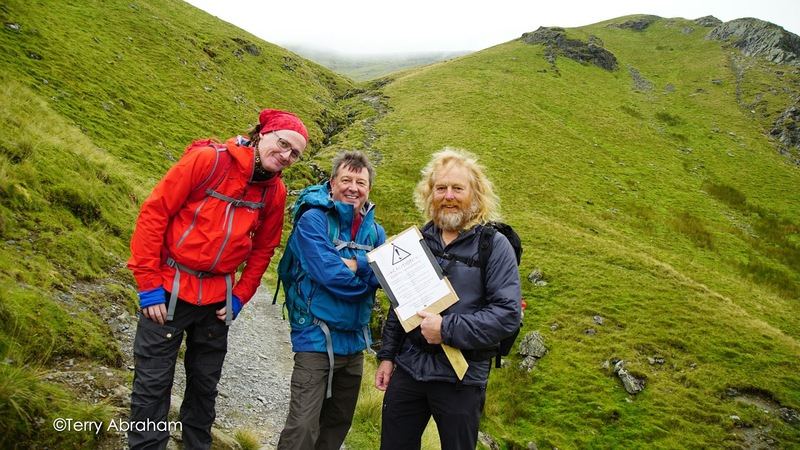 Ed, Stuart and David en route for Sharp Edge with a sign for the public warning of filming. Stuart and Ed taking a break on Sharp Edge. It was very windy! Stuart needing to take a break not being a fan of the infamous Sharp Edge on Blencathra. Group pic! Yours truly and the stars of the shoot atop Atkinson Pike. Cast and crew. Eye Films team included and my good friend Dan Richards (second from right). An expensive bird! 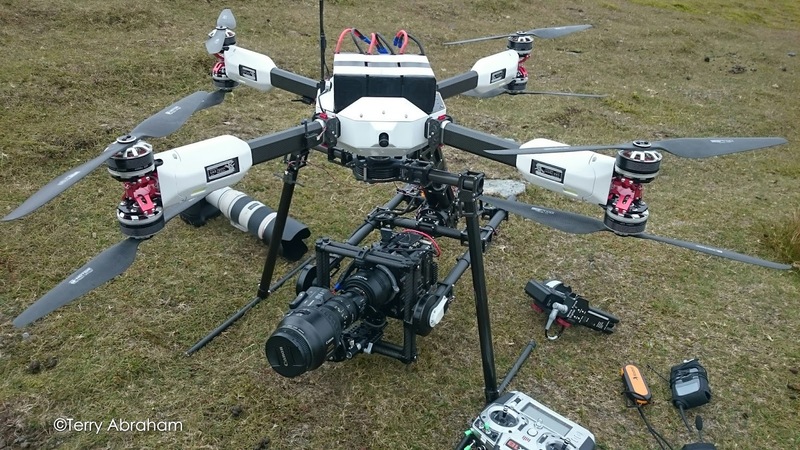 Eye Films drone. 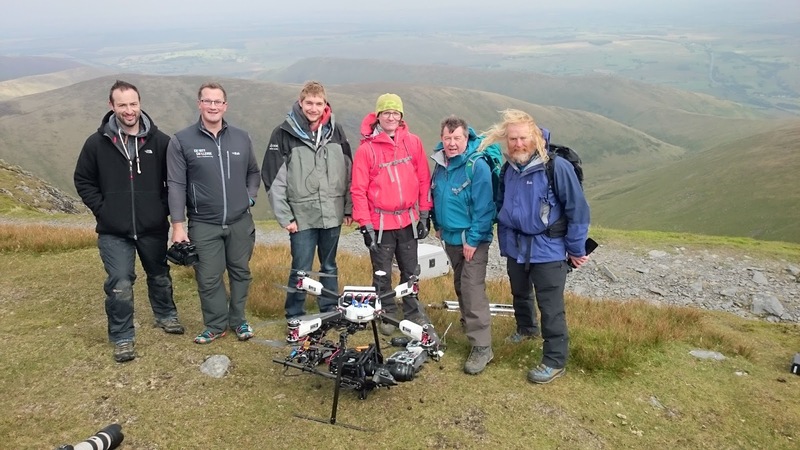 Sadly despite permits and help from a local farmer getting the kit up Blencathra, we didn’t capture any aerial scenes due to the high winds. 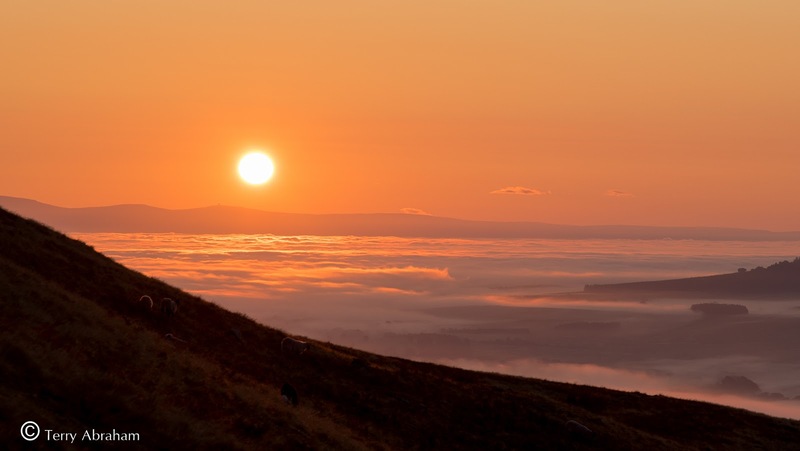 Dawn from the top of Blease Fell last Friday morning. It was extremely cold and windy. Fellrunner Steve Birkinshaw poses for the camera before admiring the unfolding dawn scenes. A video still from footage I captured of Steve running along the ridge of Blencathra.